Yes, another report from the auction files of Russo and Steele. One of the featured cars at their upcoming Monterey auction (August 16 to 18) is a classic Rolls-Royce. 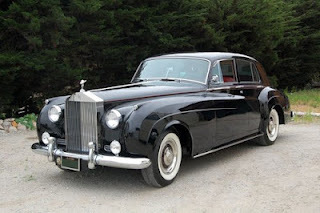 Known as the “Admiral Hudson” after its original owner, this classic has only had two owners, and is now looking for a third. It was restored between 2008 and 2010 and has picked up eight ribbons in its seven outings since then. That sedate-looking hood hides an inline-6 4,887 cc engine. I’m not a huge fan of Rolls, as I find them rather stodgy looking (no quarrels with the engineering, however), but this one’s a beauty. Hope it finds an appreciative owner who will actually drive it. Nostalgia always makes me think of the ‘50s, despite the fact I wasn’t even born yet. Mom, Dad and the 2.2 children climbing into the family car for a Sunday drive. And what more perfect than a station wagon? 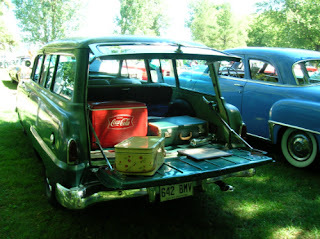 I saw this one at the Chambly Concours d’Elegance last weekend, parked in the shade, tail down and ready for a picnic. 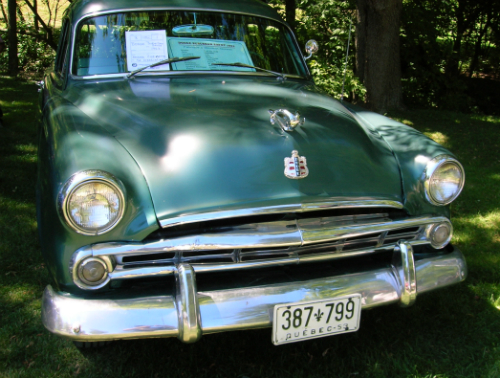 I’m rather surprised Dodge would use the Suburban name, since it had been associated with Chevrolet since 1934. Most of what I see online suggests it’s Plymouth rather than Dodge which bears the Suburban Savoy moniker. 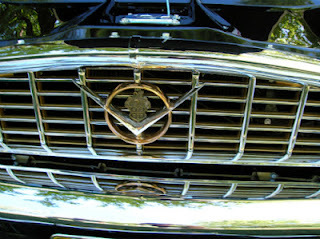 The only links I find for Dodge as opposed to Plymouth seem to be this very car. However the hood badge reads Dodge and it has a Dodge ram mascot. Perhaps it’s one of those vehicles that had one name in the US and another up here in Canada—it was built in Windsor, Ontario. Anybody know? 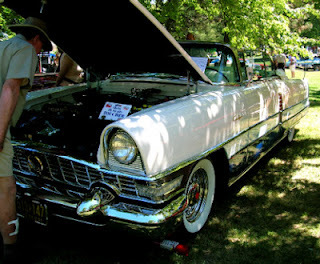 One of the cars on my “life list” is a Packard Caribbean convertible, but I never expected to see one since I don’t live anywhere near California and Packard only made them for four years (1953 to 1956). Not a lot of them were built over those four years, either. 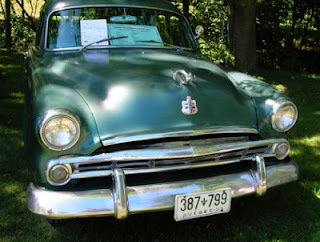 Wikipedia claims 750 for 1953, 400 in 1954, 500 in 1955, and 276 in 1956, Packard’s last year of production in Detroit. 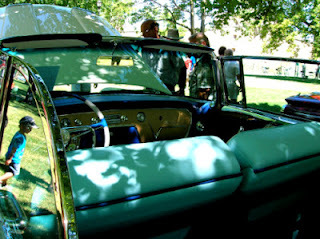 I was at a local show on the weekend, taking pictures of a Ford Crestliner Sunliner, when I heard a woman say “Caribbean.” Couldn’t be, I thought, but looked up anyway. And sure, enough, two cars over, there it was. This particular one is a beautiful two-tone in white and blue. Nice blue interior. Too bad it was parked in the shade, as the photos don’t really do it justice. Twin 2013 SRT Viper GTS-Rs. Copyright © 2012 Chrysler Group LLC. 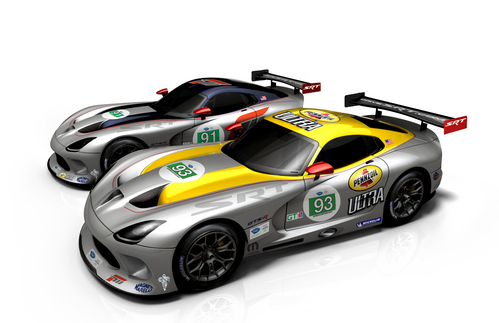 SRT Motorsports has announced that they have two identical 2013 SRT Viper GTS-Rs ready to take on the racing world. The first official race for the 2013 Viper will be on August 4, competing in the three-hour Mid-Ohio Sports Car Challenge. The race is part of the American Le Mans Series, a series for GT class cars—two-wheel-drive race cars slightly modified from production versions. Other cars in the series include the BMW M3 GT, Lotus Evora, Aston Martin Vantage, Porsche 911 GT3 RSR, Ferrari F458 Italia, and the Corvette C6.R. Results at the Ohio race will determine SRT’s participation in the 2012 season, but SRT plans to compete full time in 2013. I knew I had to cover it. It’s a 1937 Cord 812 Supercharged Phaeton, and has been certified by the Auburn – Cord – Duesenberg Club as an original. 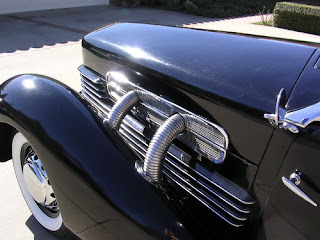 The Cords are interesting not just because of their style, but because they were front wheel drive. According to the folks at Russo and Steele the 810 and 812 Cord models with their “coffin noses” were based on a design by Gordon Buehrig, also known for the Auburn boattail speedster. 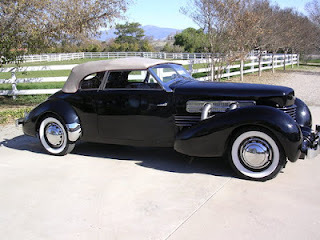 The design was originally supposed to be for a small Duesenberg, but became a Cord instead. Wikipedia says this particular design was recognized by the Museum of Modern Art. Not only is the car stylish, it’s also rare. 1937 is the year Auburn (Cord’s parent company) filed for bankruptcy. 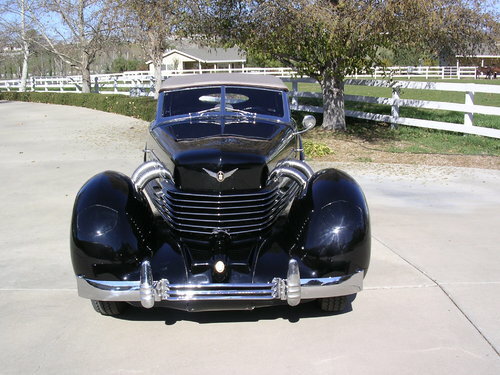 Only 1,146 Cord 812s were built, and of those, only 688 were supercharged. 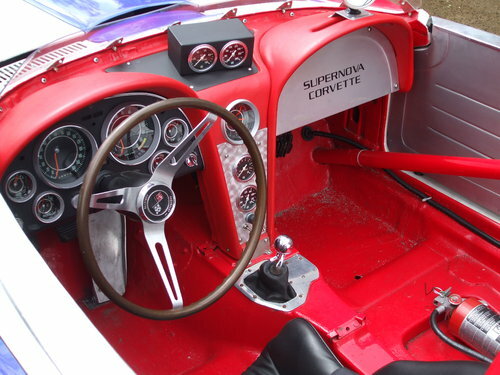 Russo and Steele say the supercharged version was the fastest American production car at the time. Both gorgeous and fast, but too expensive for the market of its day. 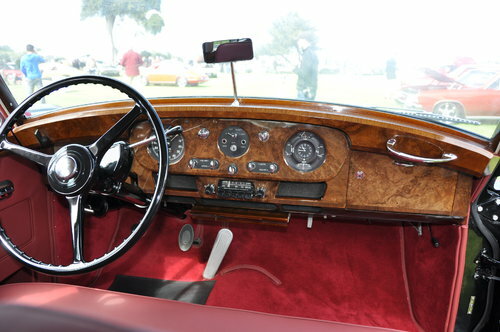 The Monterey auction will run from August 16 to 18. One of my readers sent me a link to a YouTube video of the June 5, 2011, Pomona Swap Meet—thanks, Jolene! Classic cars on the beach—how could it possibly get any better? 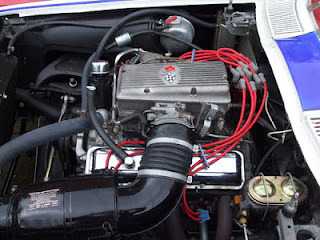 Then I checked out the Pomona Swap Meet website and discovered this wasn’t an annual event as I’d first assumed. Not only is it billed as “The West Coast's Largest Antique Auto, Corvette, Porsche, Street Rod and Volkswagen Swap Meet and Classic Car Show,” it’s held several times a year, with the next one coming up on August 12. Sigh. I’ve posted a couple of video links so you can see the awesomeness for yourself. Not likely to get to California? 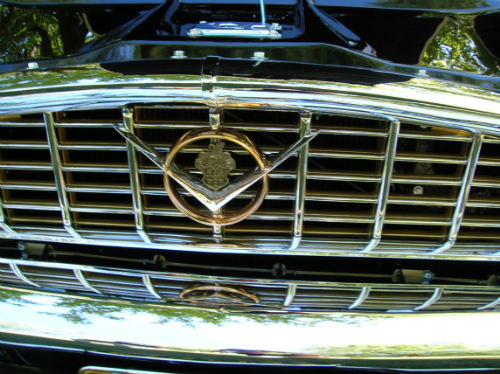 The website also offers a classified section for those who want to buy or sell cars and parts. Five time Le Mans winner Derek Bell had a crew with a mission supporting him in the pit at the 6th running of the Le Mans Classic last weekend. His three-man pit crew was supplied by Mission Motorsport, a UK organization that involves seriously injured military members in motor racing. An inspiring story indeed. In addition to helping out Bentley at Le Mans, Mission Motorsport has their own race cars and a power boat, providing opportunities for both driving and working on race cars. at Rallye Baie des Chaleurs. 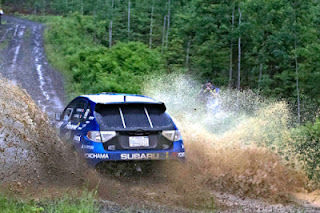 You might think so after seeing the results for the Rallye Baie des Chaleurs held in New Richmond, Quebec, last month. 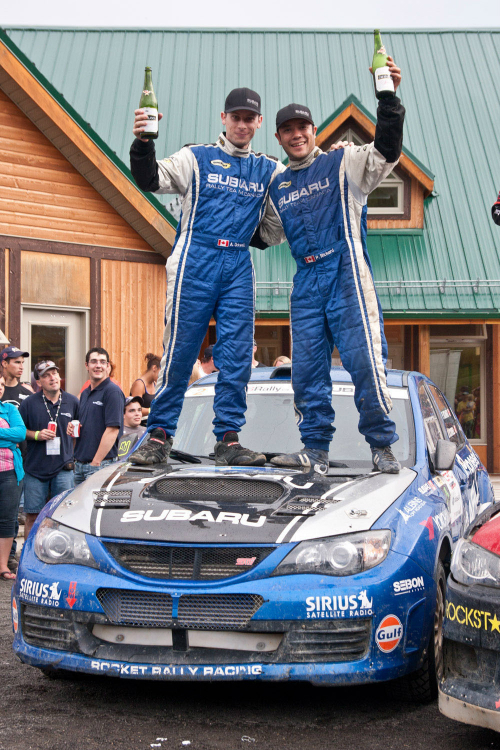 While Subaru Rally Team Canada drivers Pat Richard and Alan Ockwell only managed to grab second due to windshield fogging problems, coming in just over three minutes behind Antoine L’Estage and Nathalie Richard in a Mitsubishi, eight of the top ten finishers were Subarus. Another Mitsubushi took seventh place. While the press release didn’t say, according to Subaru Canada’s website, their rally team drives a 2008 Impreza WRX STI. The Canadian Rally Championship site has more information on the various events that make up the Canadian championship and notes that TSN will be showing the 2012 Baie des Chaleurs rally next Monday, July 16, at 15:30 EDT. There are a few other showings scheduled as well. The next event in the championship will be the 2012 Rallye Defi, held in Ste-Agathe, Quebec, September 6-8. That overlaps the Targa Newfoundland (September 8-15) which is bad planning on somebody’s part. Subaru Rally Team Canada claims second at Rallye Baie des Chaleurs. www.worldrallysport.com (CNW Group/Subaru Canada Inc.
Mustang fans will have a chance to bid on a one-of-a-kind aviation themed Mustang at this year’s EAA (Experimental Aircraft Association) AirVenture aviation celebration in Oshkosh, Wisconsin. 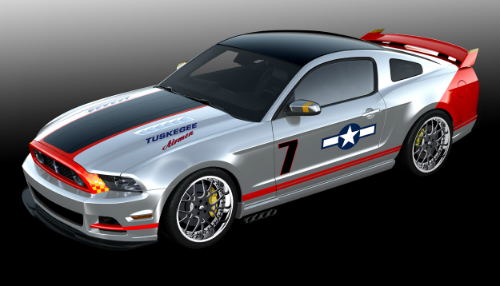 The “Red Tails Edition” Mustang has been provided by Ford to raise funds for the EAA’s Young Eagles Program. Last year’s offering by Ford, the “Blue Angels” Mustang, raised $400,000. The Red Tails Mustang is meant to honour the Tuskegee Airman, the US Army Air Corps’s first African American aviators, and the P-51 Mustangs that they flew in World War II. It sports VIN #00051. The exterior is painted in polished aluminum and silver chrome, with red and yellow accents. Unfortunately the graphic that came with the press release appears to be a drawing rather than the finished car, but still gives a good idea of its appearance. The Red Tail will be on display at EAA AirVenture July 23 through 29—the actual auction is on the 26th. More information on the auction can be found at www.airventure.org/gathering. 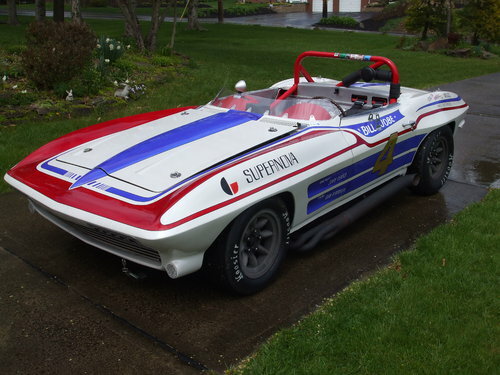 One of the featured cars in Russo and Steele’s upcoming Monterey auction (August 16-18) is a 1964 fuel injected Corvette Supernova. An early Corvette would be interesting enough, but this one was actually raced in the SCCA (Sports Car Club of America) 1972 season by national B production champion Bill Jobe, taking several races. Sweet. The engine’s been recently refreshed and it’s all ready to compete in vintage races. For someone who’d like to get into racing without first dealing with a restoration project, this sounds fantastic. A quick Google search failed to turn up anything similar. Any bets on how much it will go for? 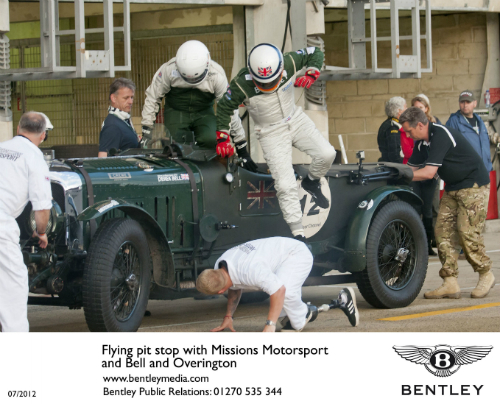 The two vintage Bentleys at the Goodwood Festival of Speed this past weekend may not have been setting any records on the hill climb (they only did demo runs), but one Bentley Blower did set a record at the festival nonetheless. A 4 1/2 litre supercharged Bentley Blower formerly owned by racer Sir Henry “Tim” Birkin sold at the Bonham’s Goodwood auction for £4.5 million, beating the previous record auction price for a Bentley, a Speed Six sold for £2.8 million at the Le Mans Classic in 2004, by quite a lot. 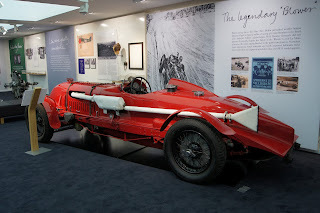 It’s not the first time the car has set a record. 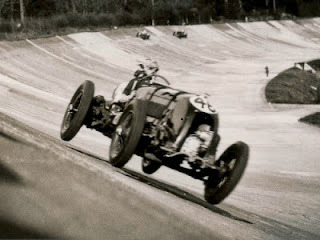 Back in March of 1932, with Birkin driving, it hit 219.93 kmh at Brooklands, former home of the British Grand Prix. Birkin apparently described his record run by saying “there are bumps which jolt the driver up and down in his seat and make the car leave the road and travel through the air.” Since the Brooklands track was uncoated concrete and steeply banked, that must have been an interesting ride indeed. I suspect the new owner will be more careful with it. Came across a website that helps people find places in the UK where they can drive tanks for fun. Apparently there are several, and they have different experiences available. There’s your basic tank driving, which sounds pretty cool in itself. Another offers the opportunity to fire tank guns in a live combat scenario. If that’s a little too outré, tank paintball is another possibility. How about car crushing? Come on, you know you want to. Mini tanks are available for kids and at least two sites offer a tank limo for hire. Seriously. The tank sites can be booked for parties or corporate team building, and of course gift vouchers are available. 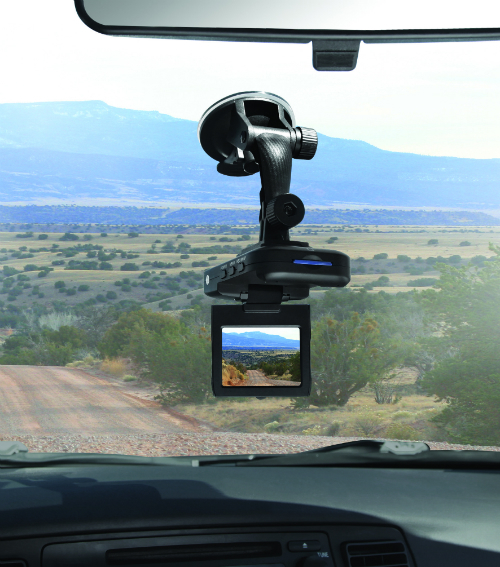 Other military vehicle driving experiences are also offered, including the Humvee, and amphibious trucks. Sign me up! 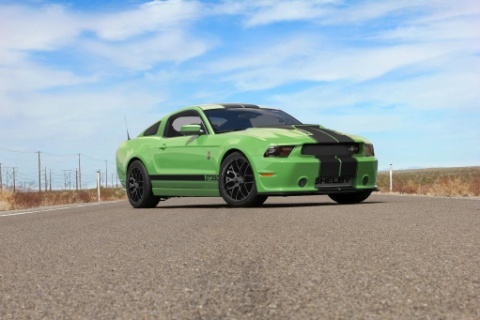 Shelby American has announced new colours for the 2013 Shelby GT350 limited edition. Unlike the 2011 model, which came only in white with blue stripes like the original 1965 version, and the 2012 edition which added red, blue, and black/gold to the mix, the 2013 Shelby GT350 will come in all the colours Ford offers for the Mustang. It will be available in both coupe and convertible body styles. Better move fast if you want one, though, as they’ll only be building 350 of them. In addition to choosing paint colours and wheels, customers can pick a 430 hp normally aspirated engine or go for a supercharged Ford Racing 525 or 624 hp engine. Prices start at $26,995 (that’s on top of the base car). Not in your budget? They also offer diecasts at the Shelby Store.